Address Unknown is a well-performed show about missing persons from South Africa. Each show dramatizes a real case of a missing person taken from the Missing Persons Bureau files in London. Part James Bond, part Wonder Woman, The Avengers epitomized Sixties British Cool on the small screen. The infrastructure for TV broadcasting was slow to be adopted in South Africa, but they had this terrific version of The Avengers from Springbok Radio. (update) with double the number of episodes: journey "into the land that lies beyond midnight, into a world of ghost hunters, men going mad, and DEATH DEATH DEATH!" (update) Clever South African Inspector Carr Investigates in this Popular Detective Drama! Based on the case files of Leonard Keeler, the man who invented the polygraph lie detector, this South African drama seeks to reveal The Hidden Truth. 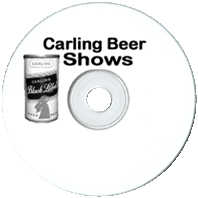 Produced by Springbok Radio of South Africa, Father, Dear Father was an entertaining domestic sitcom featuring a divorced father who was perpetually confused trying to raise two teenage daughters. South African hardboiled detective old time radio show in the spirit of Sam Spade. (update) South African Radio show featuring a swinging British Spy, a la James Bond, who fought spies, traveled the world, and charmed dames. South African original programming, featuring od and amazing stories inspired from true medical files. (update) 31 additional episodes: With vivacious music and a flare for drama, this show depicts police work in the most sensational form possible. This old time radio show is South Africa's best police drama based on real cases from the South African Police inspired by old time radio's Dragnet.